contact Laura Tryon Jennings at laura@ltryonjennings.com. 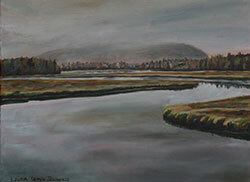 Laura Tryon Jennings accepts a limited number of commissions. 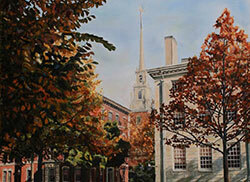 These paintings focus on the client’s surroundings and seize the true essence of the subjects. 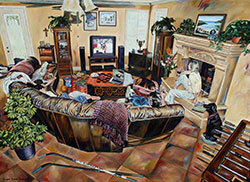 Jennings refers to these types of paintings as “Personality Portraits.” The figures (typically the client and/or their loved ones) are set in a scene that represents their true personality and surroundings. 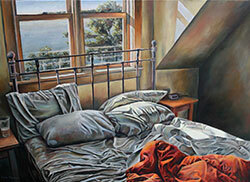 However, some of Jennings’ previous clients have chosen not to have figures in these personal works. Instead, they opted to use a favorite room, object or landscape to reflect their individuality or emotion. Travel to client’s home is vital part of each commission. Jennings will travel throughout the U.S. for commissions, in order to attain an accurate sense of the person and their surroundings. 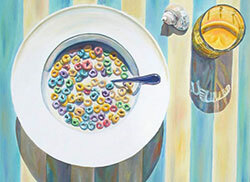 In a recent interview discussing her commissions, Jennings stated, “Catching someone’s essence on canvas is very exciting. It’s fun to capture someone’s unique stance or mannerism in a setting where they feel most comfortable, typically surrounded by everyday objects that mean so much to them. 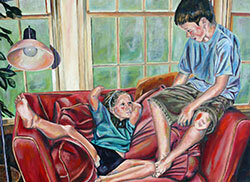 Some clients choose to have a series of paintings done every couple of years as their children.